The first time we went to Bi-Rite Creamery, we drove by Delfina and there was a massive crowd outside. I went home and yelp’d it and found out it had 4 stars with over 700 reviews. I decided right then and there that I needed to try it! I had a hard time deciding if I wanted to try Delfina the restaurant or Pizzeria Delfina first. They are right next door to each other. Given my recent pizza addiction, I decided I should give Boyfriend a break from pizza and try out the restaurant. I did make a friend outside while waiting for our table and it turns out he works at the pizzeria! He gave us a list of his favorites so I know what to order the next time I go. 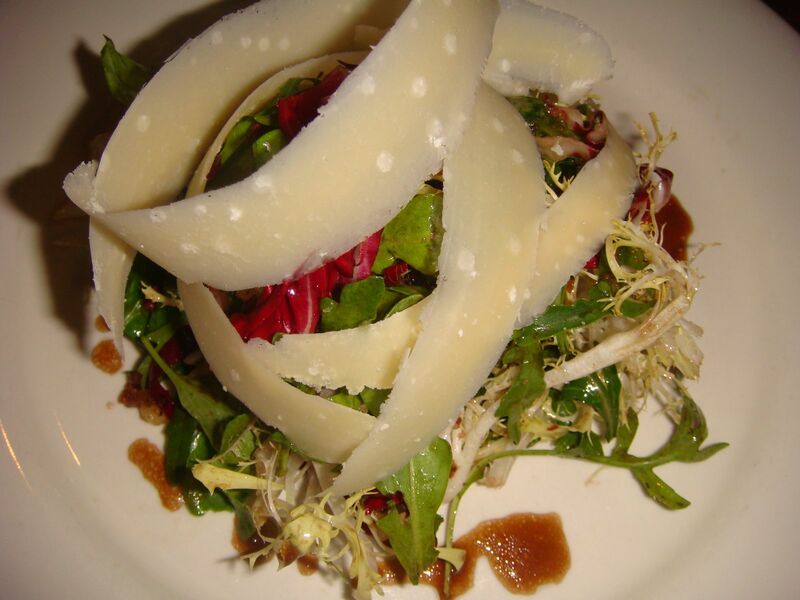 We started out with a salad with pancetta and cheese shavings. It was delicious with just the right amount of balsamic vinegar. Boyfriend went with a lamb dish with butter beans and peppers. The lamb was cooked perfectly and didn’t taste game-y. It was paired wonderfully with Boyfriend’s glass of red wine. 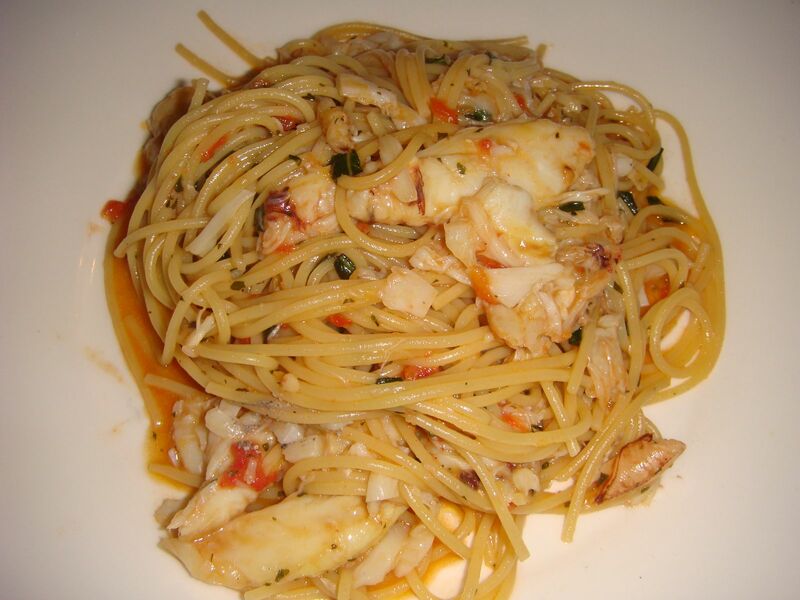 I went with the spaghettini with fresh Dungeness crab. 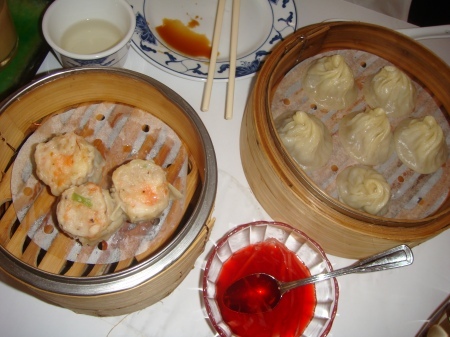 The waitress exclaimed that this is one of her favorite dishes and since crab had recently come into season, it was back on the menu. Huuuge chunks of crab in the pasta. The restaurant is small and cozy but it’s so bustling that it’s quite loud. Everything was wonderful and I really can’t wait to go back! Even the bread and sweet cream butter was amazing and we got a second plate and finished it off. Another plus to this restaurant is that it’s about a block away from Bi-Rite. 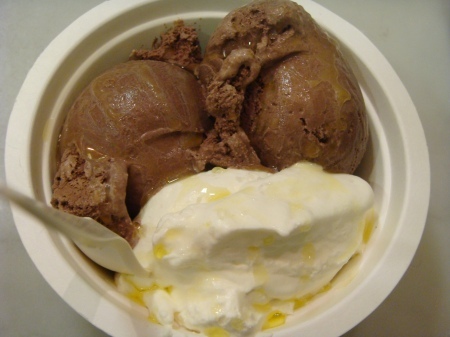 If you can refrain from ordering dessert at Delfina, head over to Bi-Rite for some ice cream after dinner! 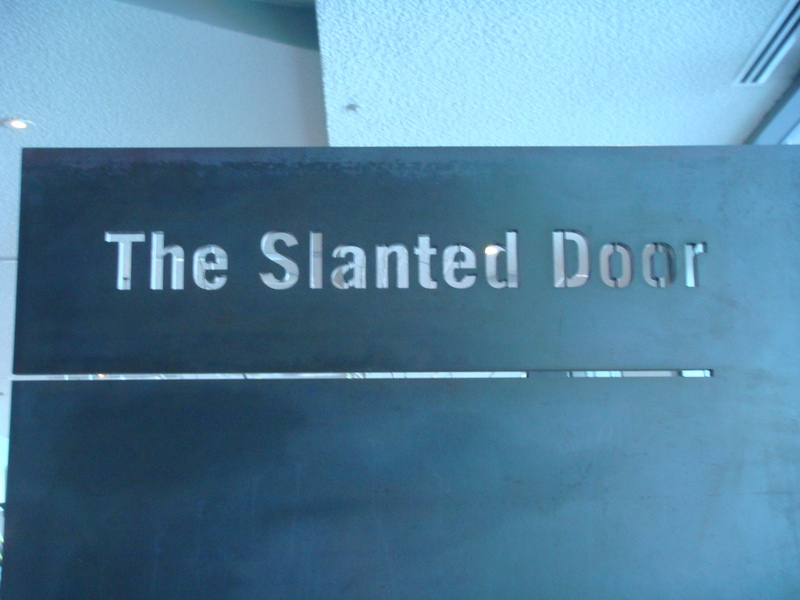 I saw The Slanted Door featured on The Best of the Bay TV show and a few days later on the Travel Channel. I figured it must be sign to see it twice in one week! 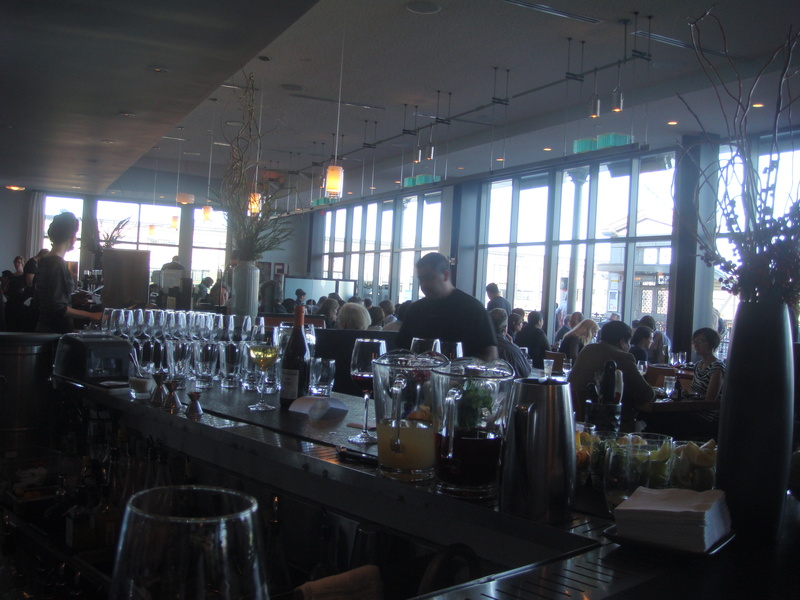 When we realized The Slanted Door is also in the Ferry Building, we knew we just had to go! I went in with no expectations. Obviously, this is not a traditional Vietnamese restaurant but more of an Asian Fusion restaurant. It was bustling even though we arrived around 1:30 PM and were told our best bet is to wait for counter seats at the bar where they serve a full menu. Every table was packed, every seat at the bar was taken, people were sitting in the waiting area, and people were coming in and out the doors. We had an incredibly nice bartender wave us over to two women who just requested their bill. We stood behind them waiting for what seemed like an eternity while one of them finished up their half glass of beer. 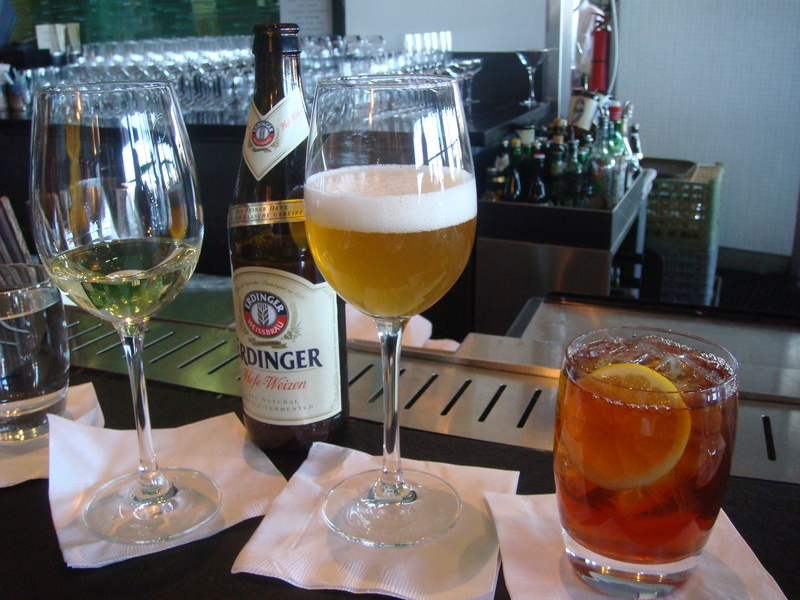 Two different bartenders gave me apologetic looks and also apologized to me once we finally sat down. We were also offered two tasters of white wine for our patience. In addition to that, Boyfriend got a beer and I tried the lychee infused iced tea. Good stuff! The entire bar is organic. 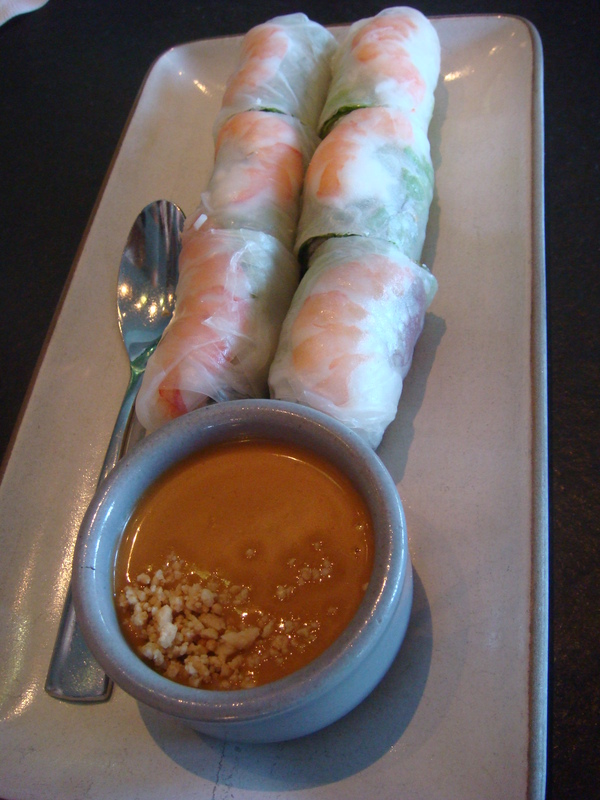 We started out with the Slanted Door Spring Rolls, which were AMAZING. The flavors of the shrimp, pork and mint were wonderful, the rolls did not fall apart once you bit into them and the peanut dipping sauce was great too. 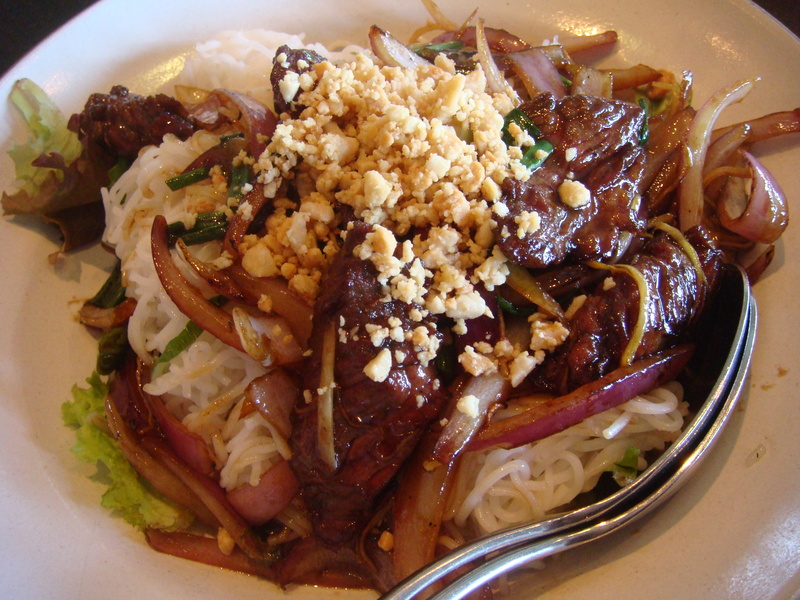 We ordered the niman ranch flank steak over rice noodles as one of our main dishes. Both Boyfriend and I had taken two or three bites and exclaimed how much flavor this dish had!! At this point, neither of us had even eaten any of the beef!! Once we ate the beef, it was all over. The plate was practically licked clean. 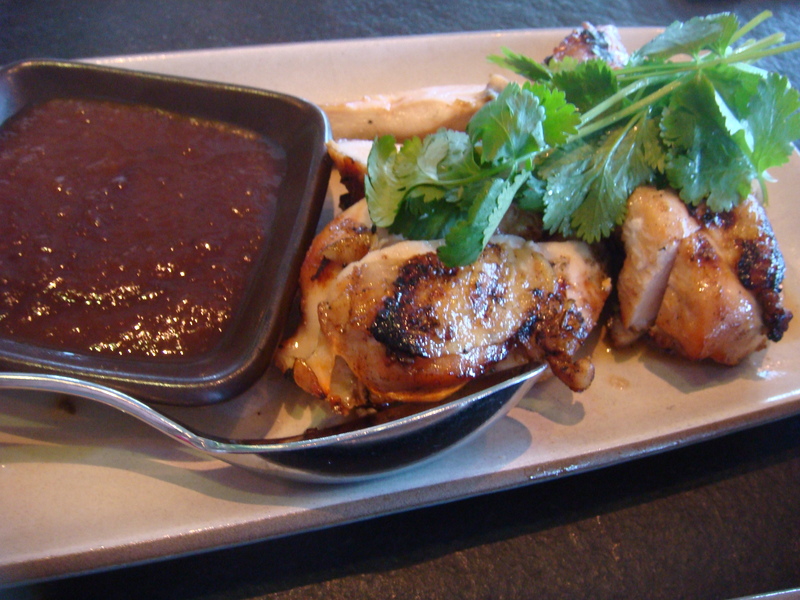 We also tried the grilled 5 spice chicken with tamarind sauce. The chicken was very moist and I liked the sauce. Boyfriend didn’t like the sauce as much in the beginning but it grew on him. It was a good plate and very filling but I probably wouldn’t order it again. The other two are definites though! 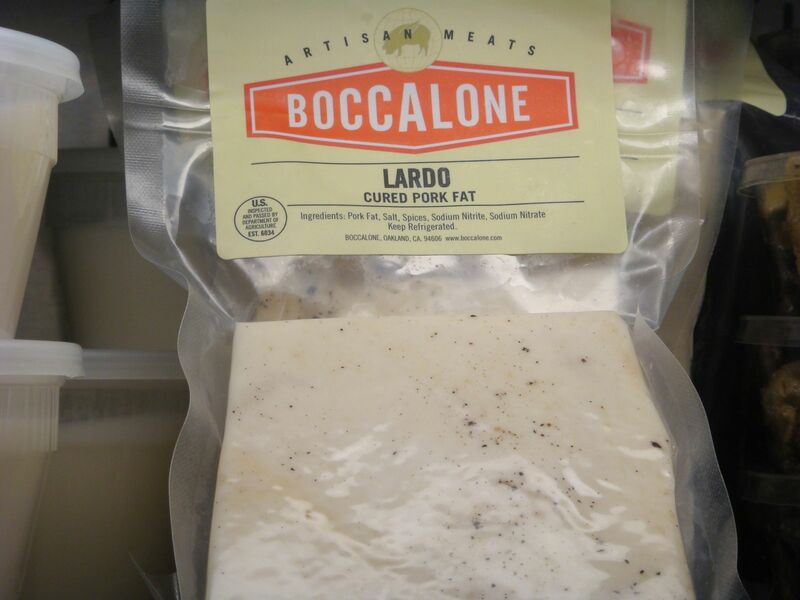 Ever since Boccalone was featured on “The Best Thing I Ever Ate” on the Food Network, Boyfriend has been dying to try it. 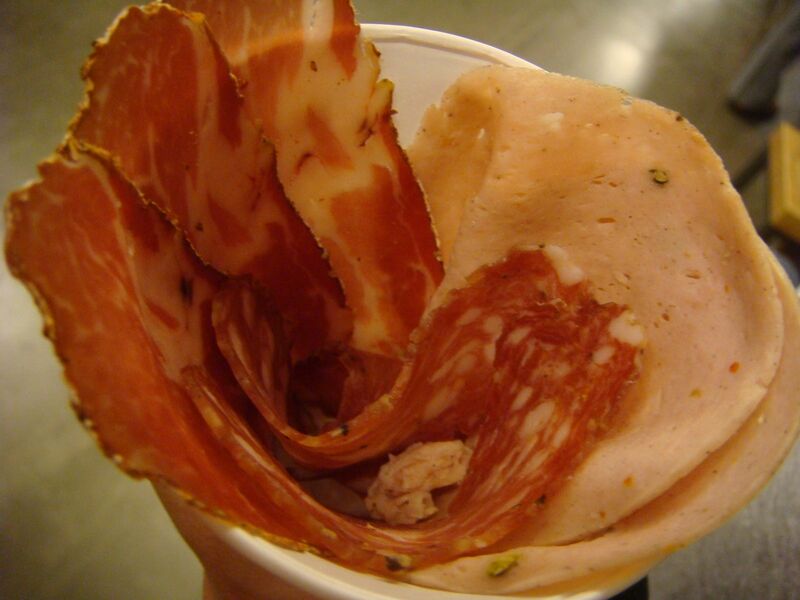 Any mention of the city resulted in Boyfriend asking if we could go to the Ferry Building to get a taste of the salumi cones. 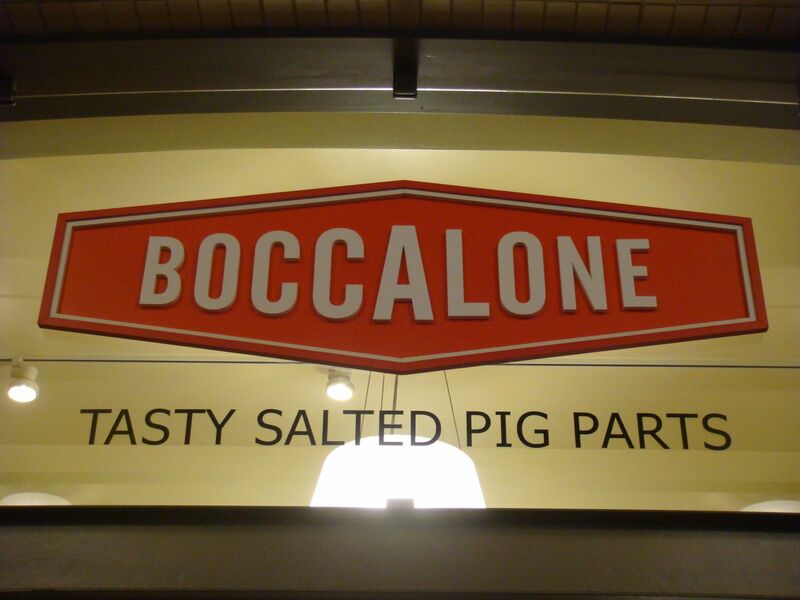 Who can resist a place that serves “tasty salted pig parts”?!? The place was a lot smaller than I expected. It looked a lot bigger on TV. Despite the small size of the shop, they had tons of salted pig parts for sale. Besides your regular salami, prosciutto, etc. you can also get pre-packaged lard. 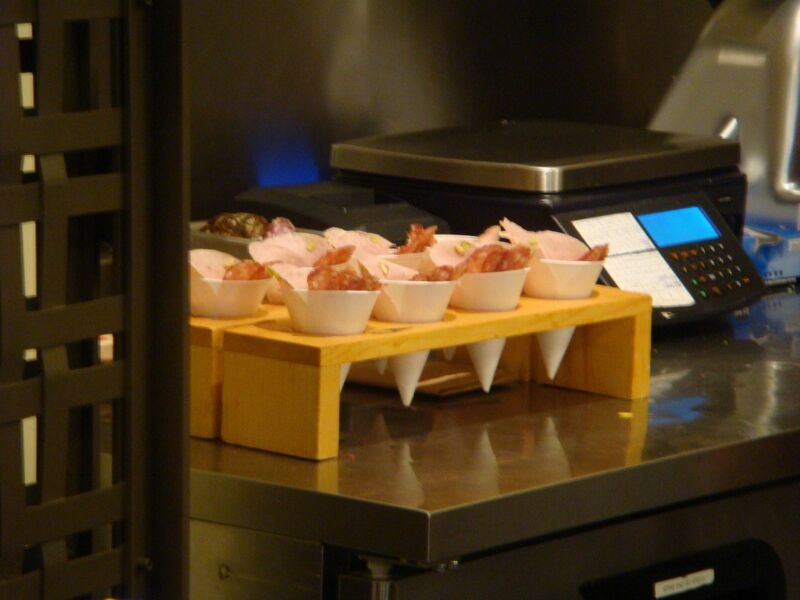 All the cones were lined up waiting patiently to be purchased and consumed. 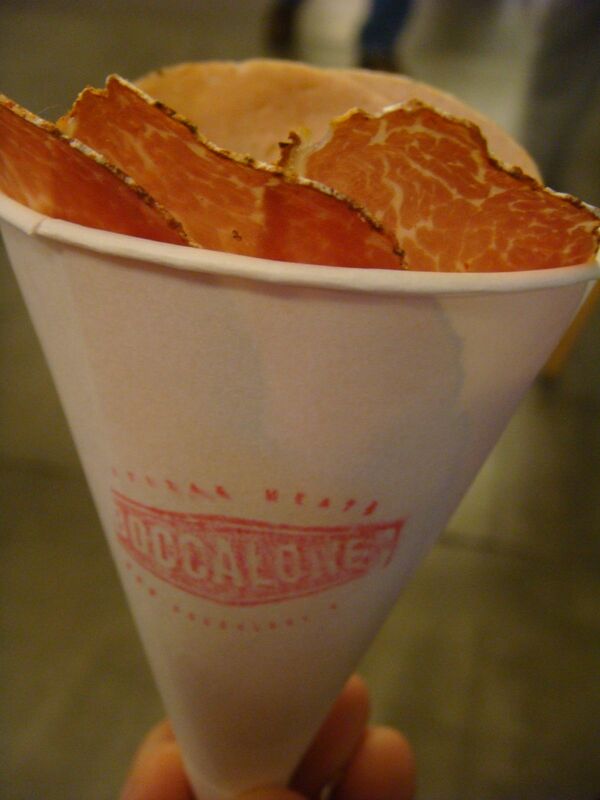 We went with a mixed salumi cone for $3.25. I believe it had prosciutto, mortadella and salami in it but I could be wrong. The three meats were all flavored wonderfully and it was a great afternoon snack. I failed to mention that we had eaten lunch prior to the salumi cone so we had to do a couple laps around the Ferry Building to build up our appetite for it! 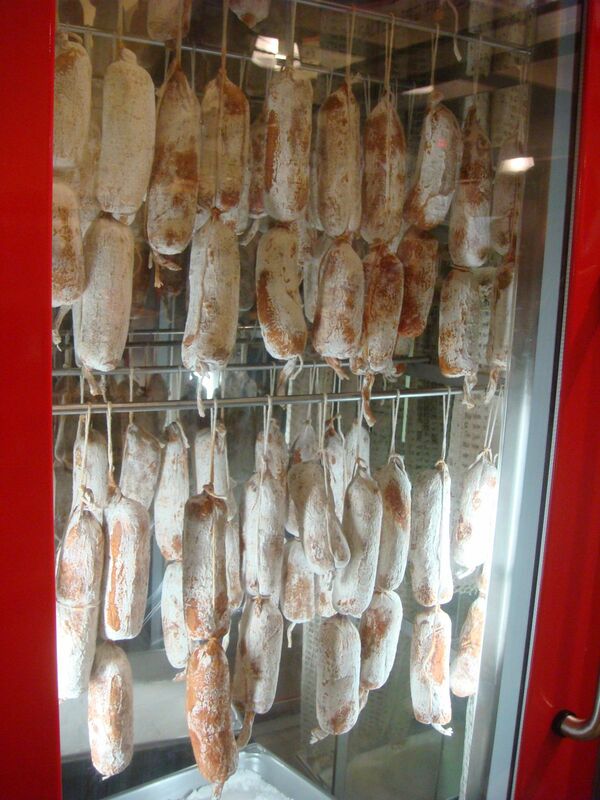 The next time we go, I’d love to try the nduja – spreadable Calabrian salami. How luxurious does that sound?!? I’d also like to meet Chris Constantino but that is probably less likely. I thought I was over my craving obsession with pizza. The addiction had subdued but after my last post, I started to talk to people about pizza. Pizza places, kinds of pizza, toppings, etc. My co-worker David even visited Giovanni’s after that post to check it out. He gave it an A because of the chewiness of the crust and the awesome parmesan they provide! 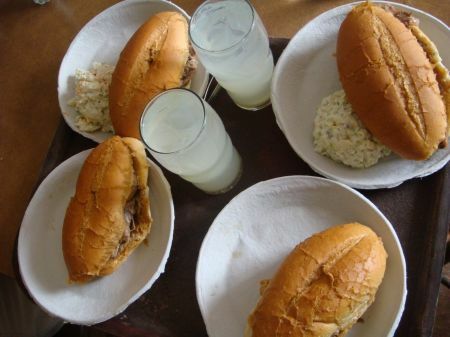 With each discussion, my mouth started salivating and I started NEEDING it again. A pure addict, indeed. I knew I wanted either Giovanni’s or Round Table last night and we chose the latter because we had a coupon. Out of the specialty pizzas, the King Arthur is my fave: Pepperoni, Italian sausage, Italian dry salami, linguica, white mushrooms, green peppers, yellow onions, and black olives. Baked with a blend of 3 cheeses and Zesty Red Sauce. 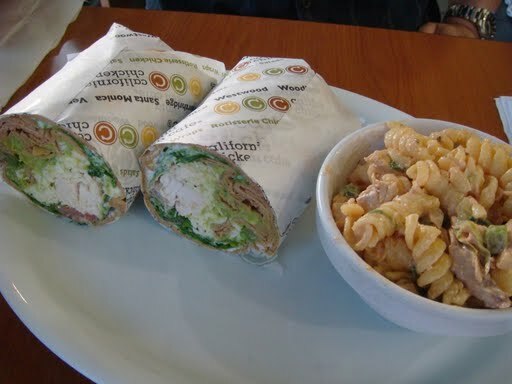 One of my favorite places to eat when I was at UCLA was California Chicken Cafe. It was fast, cheap and GOOD. It was also a healthy choice (healthier, at least) so as not to impose any guilt after consumption. One of the last times we were in LA, we stopped by for a quick dinner before heading over to Julie and Justin’s place. My favorite wrap is the Chinese wrap. 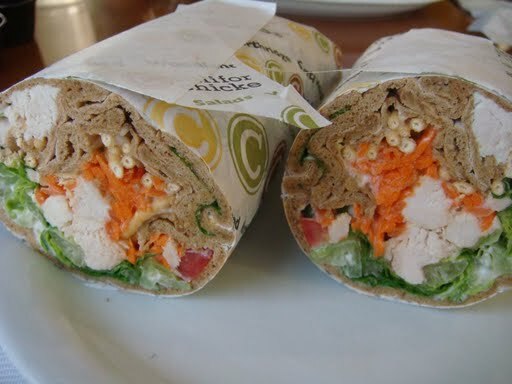 It’s basically a Chinese chicken salad made into a wrap but it’s so good! I love the dressing and love the bites of chicken mixed in with the crunchy noodles. My favorite side is the chicken pasta salad which Boyfriend and I shared. I think I can make it at home because it’s basically chicken, green onions and pasta mixed with 1000 island dressing. I think I will try to make it! Boyfriend went with the Combo wrap which came with chicken, guacamole, cheese, lettuce, tomatoes and Italian dressing. It wasn’t bad but let’s just say it’s no Chinese wrap! I used to frequent the Westwood location while in school but also used to go to the Santa Monica location often as well. I’ve always liked pizza but ever since our New York trip, I’ve been obsessed. On the way home from the airport after New York, I couldn’t stop thinking about how goooooood the pizza was the night before. It consumed me and all I could think about was the next time I would get to consume it! We stopped by Giovanni’s New York Pizzeria for the first time on the way home from the airport. It was an extremely good rendition of NY Style pizza, I was impressed. We picked up two slices of cheese pizza to go and added all the shake-on toppings we did in New York. Garlic powder, parmesan, chili flakes, oregano, etc. The slices were huge (as they should be!) and were a couple bucks and some change. The obsession started out mildly. I’d suggest pizza for dinner or gravitate towards pizza on the menu at restaurants. I started wanting it all the time. I did not simply crave it or want it. I NEEDED it. So began my pizza addiction. 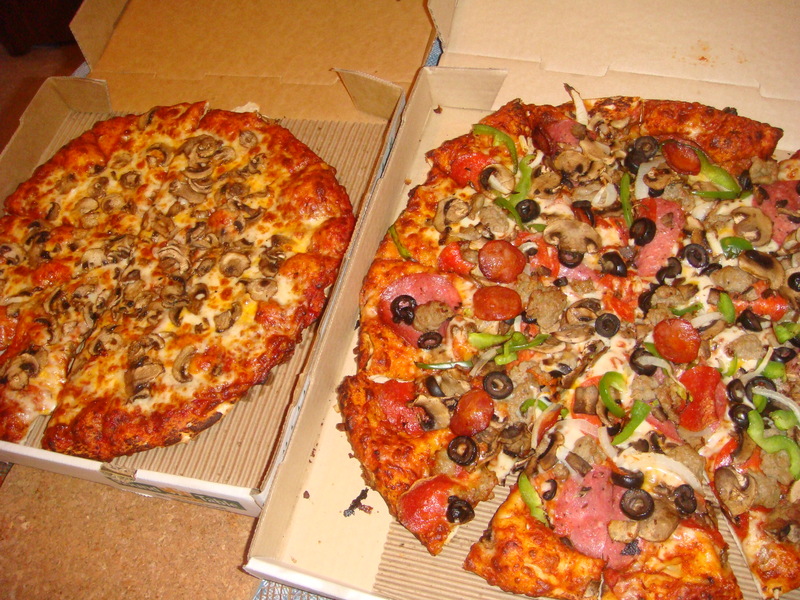 In the past couple of weeks, I’ve had your regular run of the mill pizza chains such as Round Table, Papa John’s and even Costco. I’ve also purchased multiple packages of pizza dough from Trader Joe’s so I could make it at home. 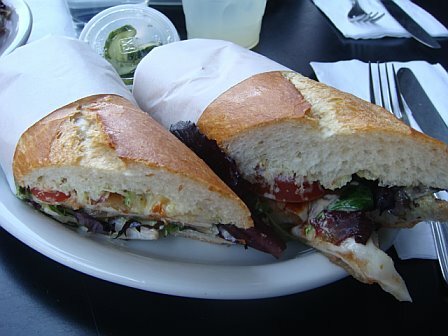 We’ve been back to Giovanni’s again since the trip home from the airport and I can’t wait to try others. I think my addiction with pizza has subdued somewhat but my love for it has only grown. Boyfriend claimed he is pizza’d out for the time being but I definitely am not! 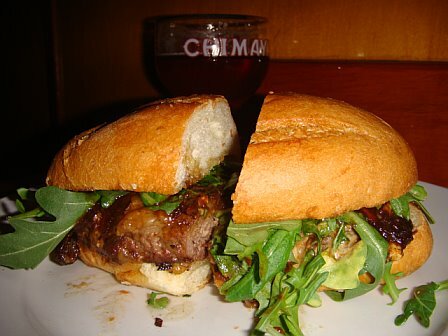 You are currently browsing the For the Love of Food weblog archives for November 2009.